Griffon Alpha Group provides highly trained K9 Units (Guard Dog & Security Officer Handler) to clients from a wide range of industries. Security K9 Units remain as the most effective security solution for situations requiring direct response and possible intervention. A K9 Unit is composed of a security Officer working together with a Guard Dog to create an unbeatable team of protectors. K9 Units can detect potential intruders from long distances or even in unideal conditions such as bad weather and low visibility, allowing them to stop a break-in before it happens. Griffon Alpha’s guard dogs receive training in the highest of security industry standards. 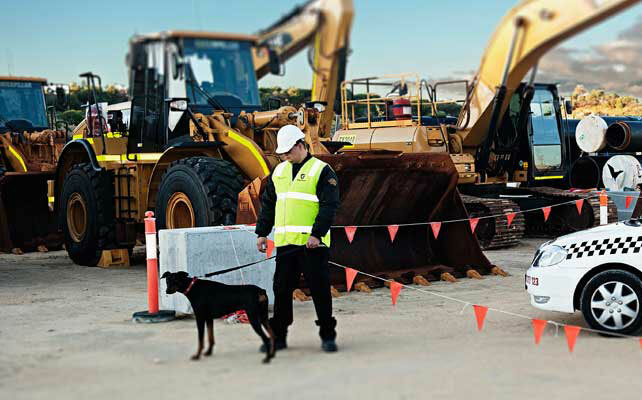 Meanwhile, security officers are licensed and certified as Security Dog Handlers based on Western Australian accreditation requirements. All of our Security K9 Units undergo a consistent training program to help them develop higher levels of security dog handling abilities.